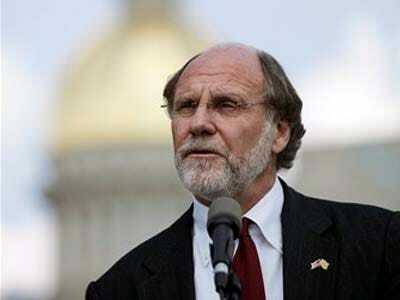 A pair of National Futures Association directors are expected to submit a proposal today to the self regulatory agency to have Jon Corzine, the ex-CEO of now-defunct MF Global, banned from the futures trading industry for life, the New York Post’s Kaja Whitehouse reports.The authors of the proposed ban are John Roe, the president of Roe Capital Management, and James Koutoulas, who runs who runs commodity trading advisory firm Typhon Capital Management and the man who was the voice for 8,000 wronged MF Global clients. Chicago-based NFA is the self-regulatory agency that oversees dealings with commodities and futures trading. The NFA has banned 134 people since 2008, Kououlas told the Post. Broker-dealer MF Global collapsed in the fall of 2011 and more than a billion in customer funds went missing.